Welcome to Bogle Realty, LLC! 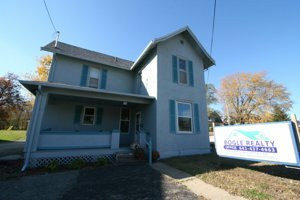 Welcome to boglerealty.com, where you will find all the most current and updated data search tool for all homes, farms, land and commercial properties for sale in the Southeast Iowa area in the SEARCH engine! Signing up with Bogle Realty, LLC, you will have the luxury to match criteria to the properties you are looking for as they hit the market, so you will be lucky enough to be the first to see it. * Have price changes automatically emailed to you! * Receive automatic emails on all NEW LISTINGS in your desired area! * You will always have the ability to update your search criteria! Never miss out on that property again by clicking on our database search tool! Large 84 X 105 lot in General Manufacturing District zone. 47 X 132 lot in General Manufacturing District zone. Flat 82 X 85 lot in General Manufacturing District zone. Large 94 X 132 lot in General Manufacturing District zone.